My wife and I started to talk about couponing the other day and I was telling her it might be a clever idea to use coupons to save a few bucks every week, money that we could use for sure to save or invest. Especially now a days when the price of food seems to be skyrocketing every week. She gave me the cold stare (the one that every husband regrets) and she explained that couponing is not for us, and that we won’t save any money by doing it. Scratching my head, I asked her what she meant. It turns out that she had a ton of info that I was not aware of when it comes to couponing and savings. Info that I think is good for people to know, since I see a lot of people talking about the whole couponing thing. First, coupons lead to junk. 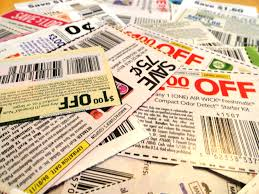 Most coupons are for foods and food groups that we typically don’t eat. From lunchables, to soda, and Chef-Boyardees, coupons lead people to eat processed food that is typically not good for your health. Needless to say, we would rather look for fresh seasonal produce, fruits and sales on healthy food, than a bunch of processed foods that we do not want to be consuming if at all possible. Second, store brands are usually cheaper than name brands, even when you use the coupon! For example, toiletries are items that everyone needs and uses. Finding a coupon for a paper product on a name brand doesn’t really save money when you can buy practically the same item of the store ‘off’ brand usually cheaper. Now, for some people that might be a stretch with certain brands they love, but for items that we typically don’t care what brand they are, coupons simply do not work for us. I found this very interesting article of a case study from another mom blogger, where she scrutinized her spending for a while utilizing and not utilizing coupons for the same items, and discovered that even with a bunch of coupons, she ended up spending more money and time weekly! For the full case study click here. Third, coupons usually lead to buying things you don’t need. People that do extreme couponing, they always say to ‘go for the deal’ (even if that means the deal is not what you want or need) but for a small family like ours buying 20 cans of unsalted tuna seemed like a waste of money and we felt like we were hoarding when we rarely ate canned tuna anyways. So why have so much sitting there taking up space and eventually expiring? It was a waste of money, time and pantry space. Now there is nothing wrong with tuna, just not what we eat. Finally, it takes way too much time to look for coupons via internet and local papers. Even when you are subscribed to one of those ‘coupons sites’, it is a waste of energy. Our recommendation will be, to utilize the time doing something more productive and more fulfilling. Particularly in our society where time is one of the most valuable commodities we must use and give. Wasting it to save a few dollars on a can of sodium packed chef-Boyardee is not time invested wisely. For these few reasons, my wife is completely convinced that couponing is not for us. After doing a bit of research on the subject, and looking more in detail the points she gave me, I completely agree with her. 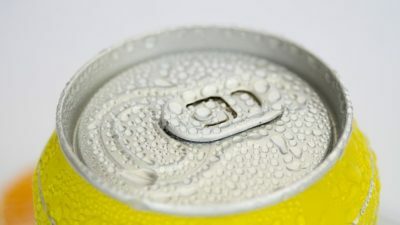 In our opinion, it takes way too much time to hunt the coupons down and to look for the deals (time that cost more money than what we can save) furthermore, my wife and I will work to teach this truth to the ‘younger generations’, so they don’t fall prey of the couponing hype that could lead to unhealthy lifestyles and wallets. We are not totally against couponing, and from time to time we will still use a coupon if we come across one that could be used for something we would buy. We just don’t want to waste money on buying “junk” with a “save 50 cents” coupon and accumulate stuff that we would never buy otherwise. So be wise in how you spend your money on groceries, plan your trips to the store with a menu, which in our opinion can save you more money in the end. We will write more about this later, but for now, it is enough to say: have a plan and save more. Enjoy!